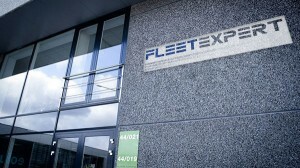 Fleetexpert knows better than anyone the challenges that fleet managers face in our rapidly evolving economy and society. Among others they are asked to reduce costs in times of frequently changing fuel prices. At the same time they hold the satisfaction and safety of their drivers close to their heart. Equally, the concern that something needs to be done to our climate change urgently asks for a list of green fleet initiatives. Today fleet managers are analyst, coordinator and manager at the same time. No wonder they sometimes run out of hands. Fleetexpert delivers these experienced hands no matter where, when and how long you need them. That provides opportunities! On this website you will get a brief introduction to each of these four services wherein people are central. It should enable you to make the right choices like; “Do I appoint a fleet manager or not. If so, temporary or permanent?” … but rest assured that whatever option you choose, Fleetexpert can provide the right candidate. Because every company is different, Fleetexpert works in close collaboration to assess the situation and work out the most suitable solution to a client’s specific requirement. Contact us for an informal chat or take some time to fill in the form below with your specific question. We will contact you as soon as possible.